Cherry blossoms are in full bloom and spring is officially here! I'm all about convenience; aren't we all?? 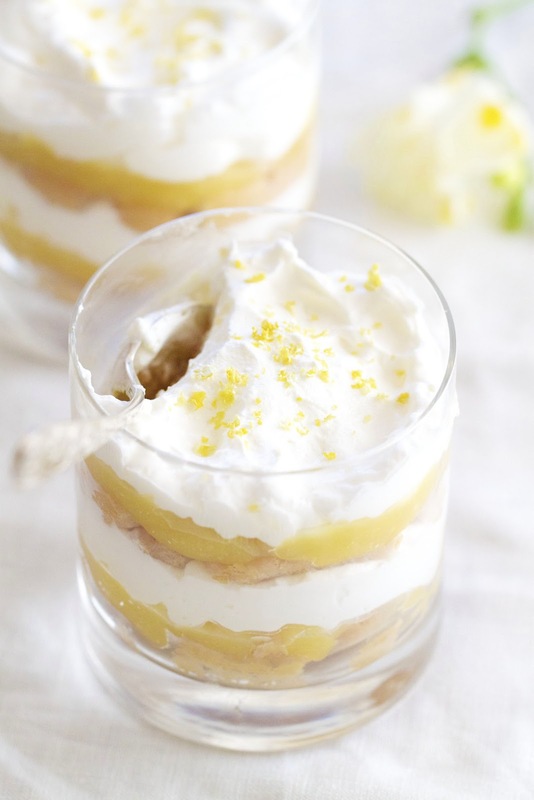 This lemon trifle must be the easiest dessert I've ever made. In total, prep and assembly time = 10 minutes tops! So easy and delicious! Such a beautiful dessert to grace your spring dessert table/bar. I decided to make individual trifles, which makes portion control easier! To make one large one, use a 3-quart serving bowl; Preferably clear to see all the fancy layers. Place ladyfingers evenly in a rimmed baking sheet. Pour sherry over the tops of the biscuits. Let sit for 5-7 minutes, carefully turning them halfway through soaking. In a bowl of a standing mixer (or hand mixer) fitted with the whisk attachment, pour the cream and sugar. Beat on medium speed until soft peaks form, cover and place in the fridge until ready to assemble. Place ladyfingers in the bottom of the bowl/bowls, spoon 3/4 lemon curd (using 3 tablespoons of lemon curd for individual trifles), then top with whipped cream. Repeat this step ending with either a spoonful of lemon curd or lemon rind for garnish. 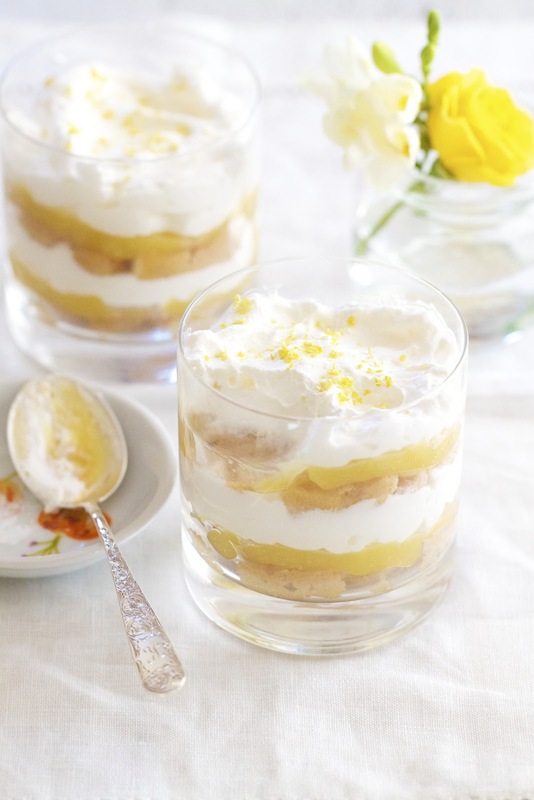 Place trifles in the fridge for 1 hour or overnight before serving. I love the individual portions. This sounds so refreshing. Wish I had one right now! Spring has sprung! It has been just beautiful here in New York and to top it off would be one of these beautiful desserts! I am all about simple and easy and these would be just perfect! What a perfect spring dessert! 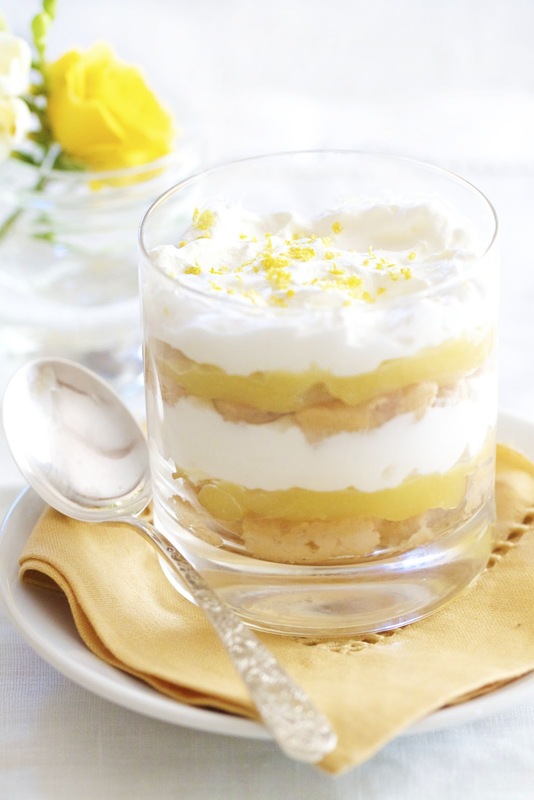 Your lemon trifle looks divine Katie. Your pictures truly amaze me. I literally want to reach through the screen....every time you post. I adore all things lemon. Thanks so much Val!! :) I adore all things lemon too. Mmm Mmmm! Very beautiful! And simple too! 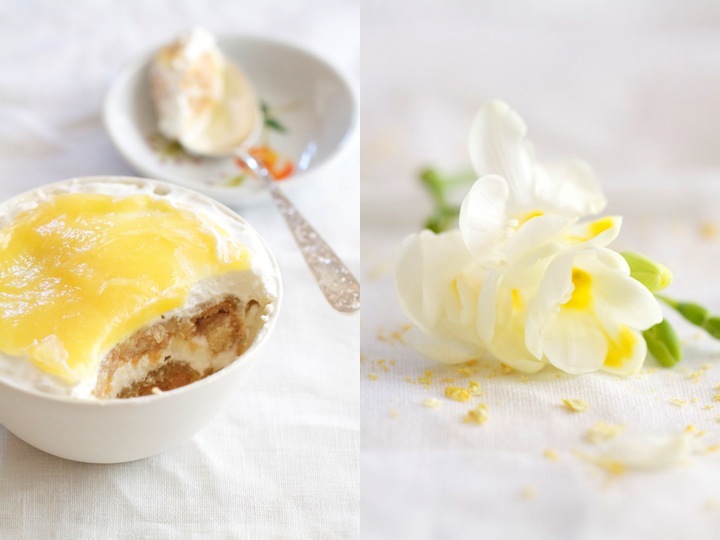 I love lemon desserts like this :) Even though it's snowing here this morning it's been very spring-like. I can't wait for fruit trees to be blossoming though!! Wow. 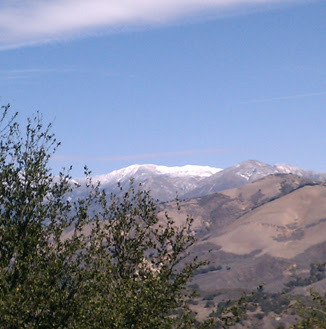 Your pictures are just breathtaking and this is the most perfect spring post ever. I love lemon desserts! This one looks amazing. i love the individual portions although more than I find myself grabbing a second one. So refreshing and beautiful! I have to say two things. First: This dessert looks amazing, I'm salivating. Second: I LOVE the new blog design, amazing! I love lemons; these look beautiful! Lemons are perfect for spring. I love individual desserts, so much more fun! Great trifle recipe! Stunning clicks as always. Your pictures are drool inducing. This looks amazing! The photographs and presentation is awesome!!! Love it. Mmmhhh, delightful! This heavenly dessert is right up my alley. I love trifles and lemon curd. This is an absolutely gorgeous trifle, Katie. 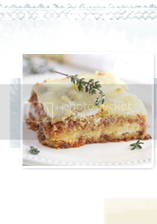 Your photos are stunning as well, so thank you for sharing both the recipe and your fabulous talents. It's always a pleasure to see what you're up to next! Also, I’m having a great giveaway today with four potential prize winners, so you should enter! I love that you made individual trifles! These are so springy and refreshing. Such an elegant dessert, I love how easy they are to put together as well. I love your light and delicate photography style! Lemon curd is my absolute favorite thing ever ~ will have to try these! Tomorrow maybe, since it is supposed to rain here! These are beautiful. I love lemon, it just say spring to me. Your presentation is gorgeous as always. 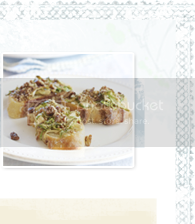 Would you double this to make it in a pampered chef trifle bowl for a party? THANKS! It's so hot here today - but it's also my daughter's 21st birthday. But who wants to turn on the oven and make "Grammy's Chocolate Cake"? Not me! Your dessert looks the best of the 20 or so I've looked at online. Thanks! And Happy Birthday to my Katie!